The late Neolithic in Central Europe was a time of increasing complexity. Like many of the preceding agricultural period of the Neolithic of Europe, these cultures could be grouped together by common ceramic artifacts. 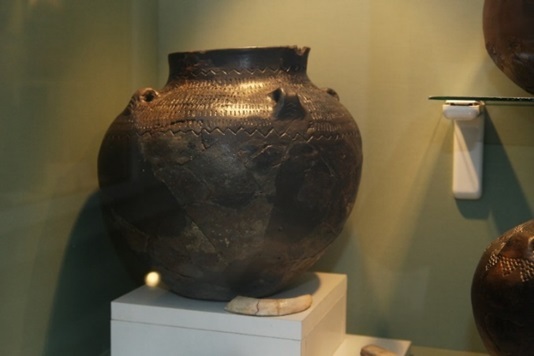 The defining piece of the late Neolithic in Eastern Europe was the Globular Amphora. These were short-necked, large spherical pots that usually had four handles with markings pressed into them before firing. They have been found throughout much of Eastern Europe, stretching from present-day Poland to Ukraine. The Globular Amphora Culture lasted at least 700 years from 5,500 to 4,800 years ago, and replaced the earlier Funnel Beaker Cultures of the region [9,10]. The people that made these vessels were semi-nomadic and were livestock herders in addition to farmers . Domestic animals had a special importance, and people were often buried with the bones of sacrificial animals . This period saw the emergence of the first wagons in Europe . The 8 individuals in this sample come from the Kierzkowo site in the Żnin district of present-day Northern Poland. These individuals formed a tight genetic cluster with 3 individuals dated to the same culture and period from a site in Stara Synjava district of the Khmelnytskyi region in present-day Ukraine. These individuals were buried in a 22 metre-long tomb made of large stone slabs called megaliths. Buried with them were also bones of cattle and pigs as well as pottery, fragments of amber, and a pendant made from a boar’s tooth . Genetic analysis has determined that these Late Neolithic people had intermixed more with ancient hunter-gatherers than earlier generations of Neolithic farmers. These findings have been repeated in studies by other researchers  who also found that hunter-gatherers still living in the area of early farmers slowly interbred with these farmers after their arrival. This new evidence paints a picture of a far more complex history than that proposed by generations of archaeologists, whereby farmers and hunter-gatherers lived side by side and intermarried for hundreds, if not thousands of years. Genetic analysis also shows that these people were not the same as those living in Poland today. This was a time prior to the invasion of steppe peoples into Europe from the East, who would again change the genetic landscape of the European continent. 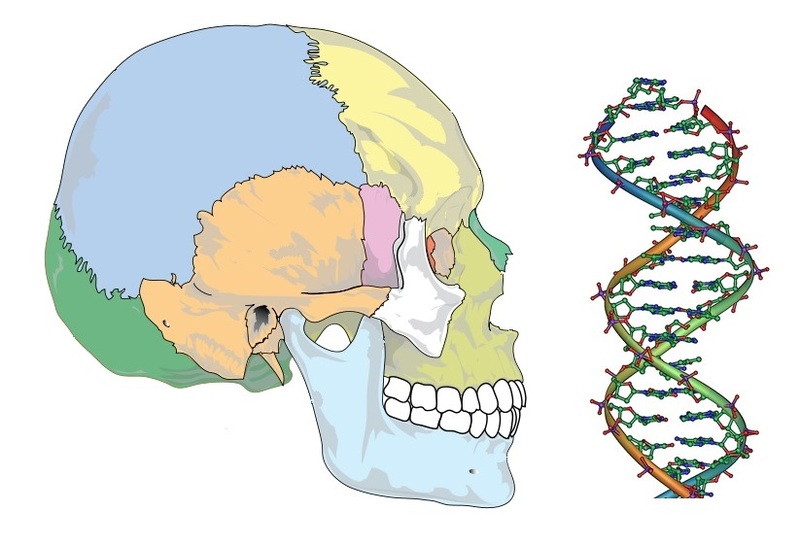 The two main mitochondrial lineages found in these individuals were the H and U haplogroups. Both are common in Europe today and existed in Europe during the Paleolithic prior to the arrival of agriculture [16-17]. The Y chromosomes from the males were from the I, C, and BT haplogroups. All three of these haplogroups have Paleolithic origins, with the I haplogroup common in Europe today with specifically origins . Haplogroup C is rare in Europe today and is found most commonly in East Asia and among Native American , while haplogroup BT is found on most continents and is very ancient , likely linking back to sub-Saharan Africans prior to the earliest modern human dispersals.